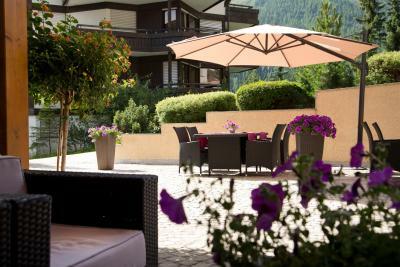 Lock in a great price for Schweizerhof Gourmet & Spa – rated 9.1 by recent guests! Great facilities and comfortable room/suite. All employees are professional, friendly and efficient. The Restaurant is very good. Family hotel. Very good location. Staff very friendly. Great breakfast. Afternoon tea. Gourmet dinner. We enjoyed the swimming pool and the spacious spa after skiing! Amazing hospitality, its something quite special! Would certainly go back! Lovely staff, super room with great view and very convenient location near centre of village and ski slopes. Everything was perfect - from the check-in where we were treated with a glass of sparking wine until the friendly check out. The room was spacious and comfortable, tastefully decorated and very quiet. The room's terrace has sun chairs and offers an amazing view at the surrounding mountains. The breakfast is luxurious and the service was top notch. 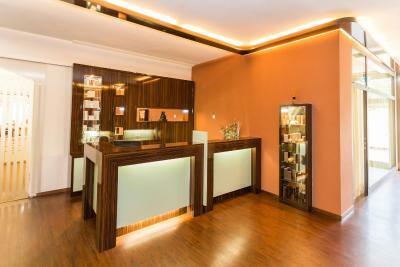 There is a great spa area with a pool and saunas which we greatly appreciated after long hikes. The best mountain hotel we stayed in! Really pleasant staff, gave us a free upgrade into a bigger room with a huge bed. Opened the Sauna early as it was a rainy day. Enjoyed the whirlpool. Great Massages possible. Great value for money, would go there again any-time. Schweizerhof Gourmet & Spa This rating is a reflection of how the property compares to the industry standard when it comes to price, facilities and services available. It's based on a self-evaluation by the property. Use this rating to help choose your stay! 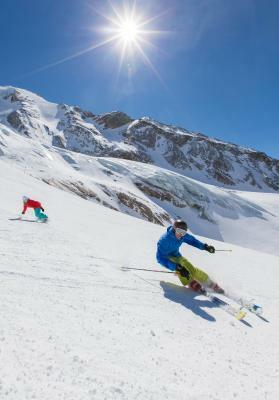 Enjoying a quiet yet central location in Saas Fee, with superb views of the Saas mountains, the Schweizerhof Gourmet & Spa Hotel also offers you a great spa area and free Wi-Fi. The 3281 ft² wellness area The Wave features an outdoor panorama sauna, a relaxation room with glacier views, a pool, a whirlpool and a steam room. There is a waterfall in the lobby where you can relax and unwind, and in the evening you can watch the starry sky from the hotel bar. 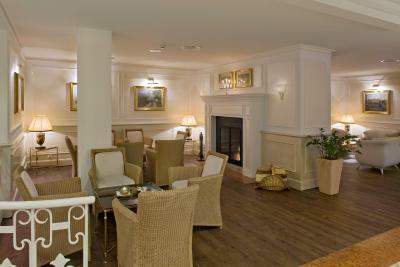 Gourmet Swiss and international cuisine is served in the restaurant of the Schweizerhof. 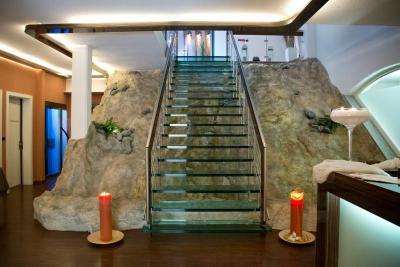 When would you like to stay at Schweizerhof Gourmet & Spa? 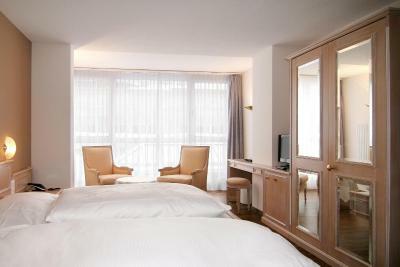 Spacious and comfortable room with a queen bed and balcony. Spacious south-facing room with mountain views. 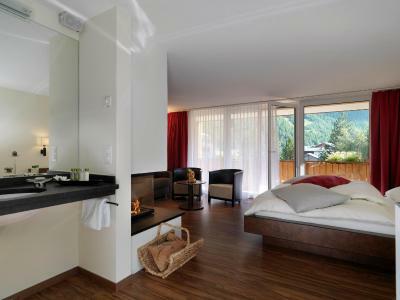 House Rules Schweizerhof Gourmet & Spa takes special requests – add in the next step! 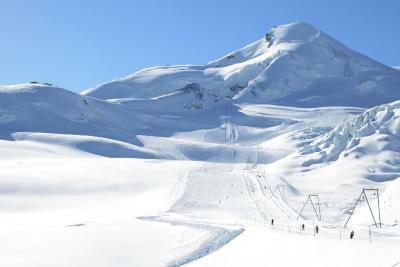 Any additional children or adults are charged CHF 150 per night for extra beds. Schweizerhof Gourmet &amp; Spa accepts these cards and reserves the right to temporarily hold an amount prior to arrival. Schweizerhof Gourmet & Spa accepts these cards and reserves the right to temporarily hold an amount prior to arrival. Breakfast was good but not outstanding. Poached egg virtually raw. The steam room missed a hose to wash the benches. This is normally available for hygenic purposes. Also the swimming pool is a bit short but OK! Room temperature control and lighting is an issue. Ski-room should look much better . There were old gloves , slippers, papers all week on the flour in ski-room. It contradicted very much with cleanliness of all hotel in general.